Just as kids adore pick ‘n’ mix sweets, adults can’t seem to get enough of mix ‘n’ match cupboard doors. They not only allow greater design freedom, but also give you complete control over the look, style, and feel of your space. Proving to be hugely popular in kitchens, mix ‘n’ match cupboard doors can be a very quick and cost effective way to give dull, tired spaces a new lease of life. 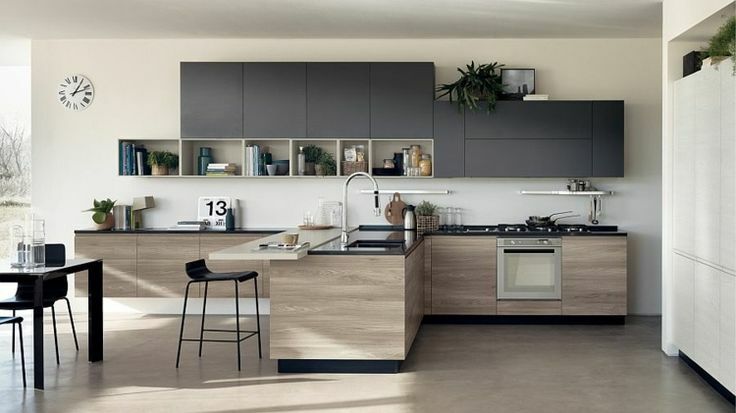 They’re a great alternative to a full kitchen refit and, perhaps most importantly, they’re a convenient way to update your space without leaving your kitchen out of action! Mixing and matching different coloured cupboards is one of the best ways to give your kitchen a little personality. This somewhat unusual, yet right-on-trend style has the advantage that it works with practically every kitchen. An old farmhouse-style kitchen? How about opting for different shades of wood, such as maple, oak, and mahogany effects. For sleek, modern, white kitchens, how about adding a splash of colour with bold accented doors? 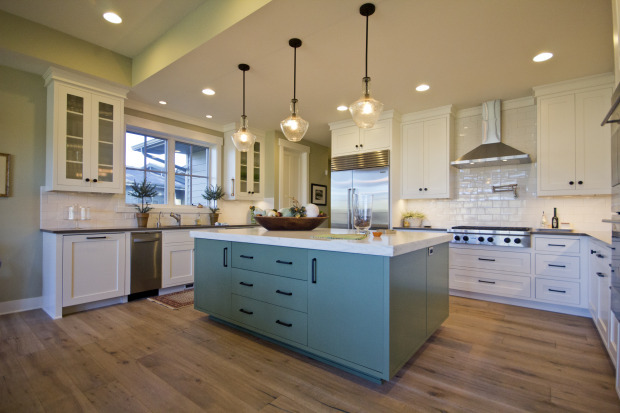 This technique is perfect if your kitchen has an island, allowing you to create an eye catching focal point in the kitchen. For a more understated look, don’t forget about grey, which is fast gaining a reputation for being ‘the new white’. Of course, not all kitchens need to be transformed quite as dramatically, but that doesn’t mean that you can’t get in on the mix ‘n’ match trend. For a more subtle change to freshen things up, why not consider mixing and matching different textures, rather than colours. Glass cabinets and wooden cabinets work well for more traditional kitchens, whilst modern kitchens can look spectacular when you combine those sleek, streamlined, high gloss cabinets with a few older-style panelled cabinets throughout. There are hundreds of combinations to choose from, leaving you spoiled for choice. So get creative this summer with a kitchen transformation that’s fun, lively and right on trend. While mix ‘n’ match cupboard doors are great for bringing that personal touch into kitchen spaces, they can also serve many other purposes, too. 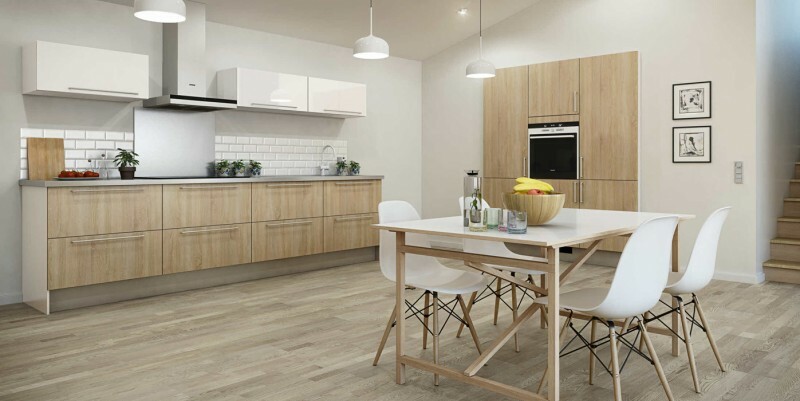 For example, if you love the modern open plan look and have designed a free flowing kitchen/diner area in your home, using different cupboard textures and colours is a great way to provide a subtle distinction between the two sections, whilst maintaining an open, airy space. Having a subtle distinction is especially good for homeowners who love to host and want a dedicated socialising space.